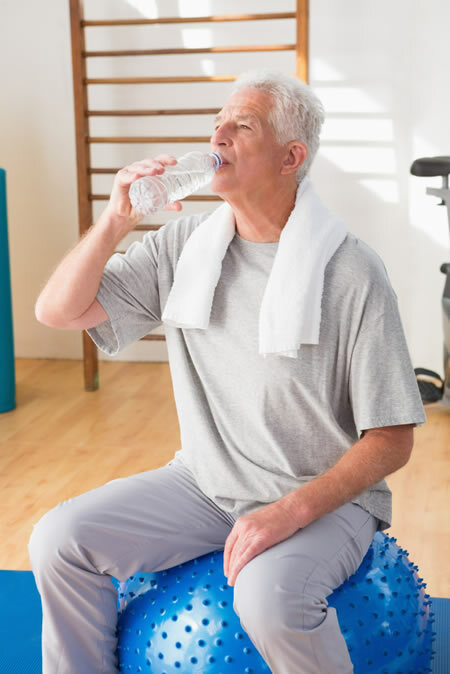 Correct HYDRATION results in a balance between WATER movement in to and out of the body, organs, tissues and cells and is a major issue in managing our wellness"
A major reason for poor HYDRATION as we get older is the gradual decline of the thirst mechanism in the brain. "Good HYDRATION during the early stages of life will prevent visible ageing, which occurs when the largest organ in the body (the skin) becomes regularly dehydrated." Your body and its cells need WATER to function. It is the basis of the fluids, which bathe the cells and tissues of your body. Your most basic nutritional task is WATER balance. But it is not how much WATER you drink that determines how fluids are balanced throughout your body. It is the concentration and distribution of these fluids (and the nutrients they hold) that determine internal shifts and balances in your body WATER. Create the environment necessary for all chemical processes within living cells - resulting in energy production and growth. Provide the medium for transporting nutrients to cells and toxins away from cells. Provide the means for maintaining a stable body temperature. Give strength and structure to cells and tissues.